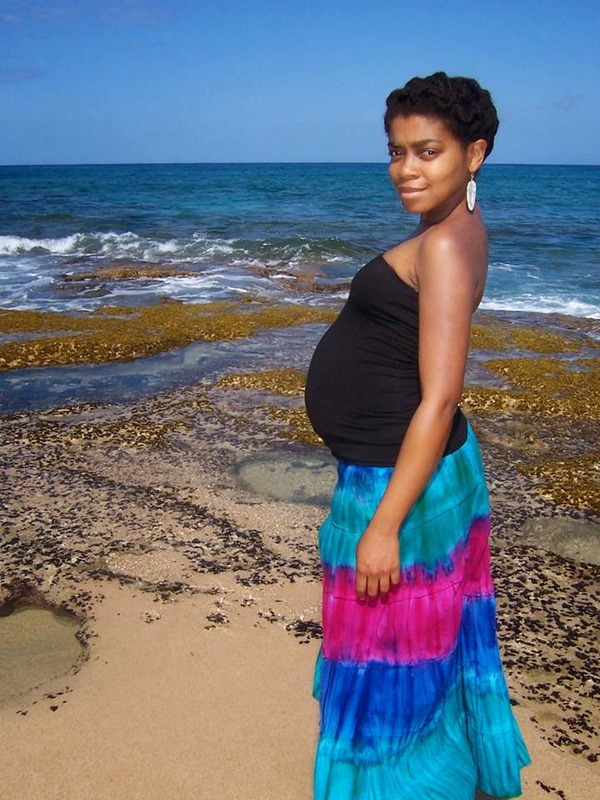 My very first pregnancy was a delightful experience. I'm not sure if--prior to that time--there was ever a point when I felt so great or energetic. With the exception of a brief moment of lethargy somewhere between months one and two, things flowed pretty well. After the first month I experienced no nausea, didn't vomit once during the entire nine months, no spotting, and there was no excessive sleeping on my part. Of course, this isn't to say that I didn't encounter some of what's typically associated with pregnancy. Around month seven, my feet became swollen. Shortly afterwards I noticed soreness in my hands. My back did present some achiness off and on staring at around five months, and for some reason there were times when I'd develop a headache as soon as I stepped foot out into Sunlight. I gained a total of 40 pounds, which seemed minuscule to me, since it sometimes felt like I consumed enough food to nourish myself and three babies. My memory lapsed every now and then, and at a certain point getting up from a seated position became a small chore. None of this necessarily fazed me, though. Activity and adventure were a constant throughout my pregnancy. Every week I was either swimming, hiking through woods, or walking for miles. As a matter of fact, on my due date I walked over two miles and climbed up and down huge rocks by the ocean. A week and a half before due date, hiking through our favorite spot. The day after my due date--when there was still no baby or labor signs--I swam in the Pacific. That was on a Friday. The next day, I woke up with contractions. We ended up at the hospital later that morning only to be told within two hours to go back home. It wasn't time. * I had no way of knowing that this was the beginning of what would become four days of pain, pressure, and restlessness. *Up until my final months of pregnancy, we'd planned for a home birth. While it was a feasible and beautiful plan that was completely in line with what I'm all about, circumstances didn't really open up for it to manifest in that way. I'll share more on that in another post some day.